Solid Internet connections aren’t available everywhere. If you want to watch streaming movies and TV shows on an airplane, on the subway, or somewhere out in the wilderness away from cellular towers, you can download them ahead of time. Not every service offers a download feature, but quite a few services allow you to download videos ahead of time so you can take them with you. This could save lots of valuable cellular data, too, especially if you’re roaming internationally. Let’s take a look at some of your options. 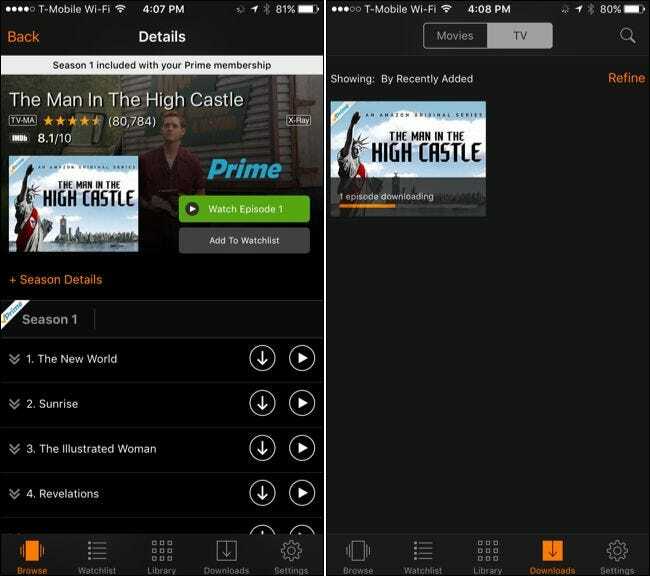 The Amazon Video app available for iPhones and iPads, Android devices, and Amazon’s own Kindle Fires allows you to download videos to your device so you can watch them offline. Just download the app and sign in with your Amazon account. Find the movie or TV show you want to watch and tap the “Download” button to the right of it. Downloaded videos will appear in the “Downloads” section of the app later, so you can open the app and watch them–even without an Internet connection. This feature is only available in the Amazon Video apps for iOS, Android, and Amazon’s Fire OS. You can’t do this from the website, so you can’t do it on a laptop. You need a smartphone or a tablet–and not a Windows tablet. To download a video, open the YouTube app on an iPhone, iPad, or Android device and tap the menu button next to a video. Tap “Save Offline” and you’ll be prompted to choose which resolution you want to download the video in. Higher resolutions offer a better quality video, but take more space on your device. You’ll find the videos you saved for offline use under the profile tab. Tap “Offline Videos” and you’ll see a list of videos you can watch offline. 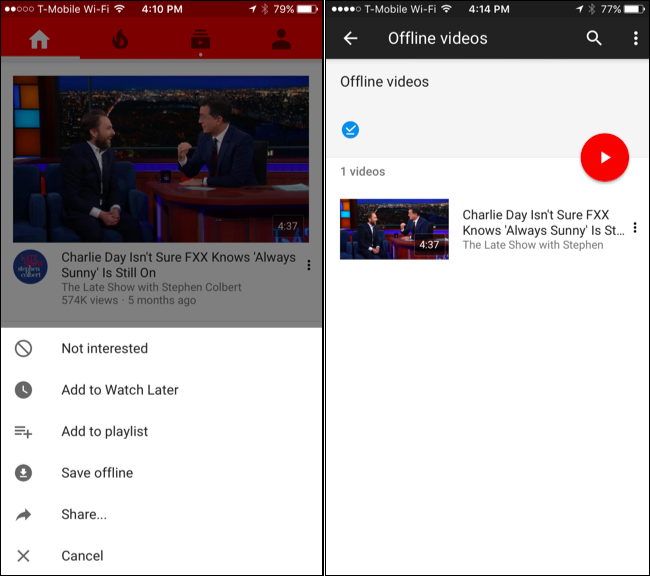 This feature is only available in the YouTube app for iPhones, iPads, and Android devices. You can’t do this from the YouTube website, so you can’t do it on a laptop. Amazon and YouTube both offer this feature as part of their streaming plans, which is convenient. However, you can gain access to a much wider selection of videos if you’re willing to pay per video–either as a temporary rental or as a purchase you can watch as much as you want. This is also convenient because some of these services allow you to download videos to a Windows PC, Mac, or Chromebook. You can save videos and watch them on a laptop or a Windows tablet, while Amazon and YouTube only offer this feature in their mobile apps. iTunes (Windows, Mac, iOS): Apple’s iTunes is available for Windows and included on Mac, iPhone, and iPad. It allows you to rent movies, purchase individual episodes or entire seasons of TV shows, or purchase movies. If you choose to rent a movie, you’ll have thirty days to start watching it. After you start watching it, you’ll have 24 hours to finish. if you plan on going for a trip, you can rent several movies from iTunes, download them to your Windows PC, Mac, iPhone, or iPad and get around to watching them any time within 30 days without an Internet connection. 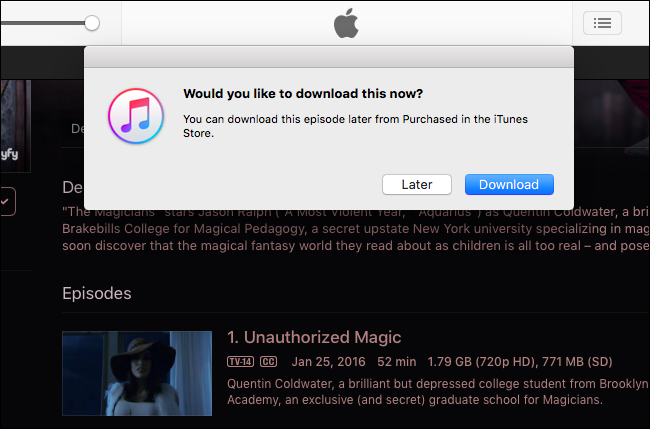 If you purchase an episode of a TV show or entire movie, you can download it and watch it whenever you want with no expiration. Amazon Video (iOS, Android, Kindle Fire): In addition to the library of free videos available with Amazon Prime, Amazon allows you to rent and purchase individual movies and TV show episodes. However, you can’t download purchased videos to your computer for offline watching–you can only download them to the Amazon Video app on iOS, Android, or Kindle Fire. VUDU (iOS, Android): Walmart’s VUDU also allows you to rent and purchase movies and TV shows as well, but videos can only be downloaded to iPhones, iPads, and Android devices. Laptop users are out of luck. 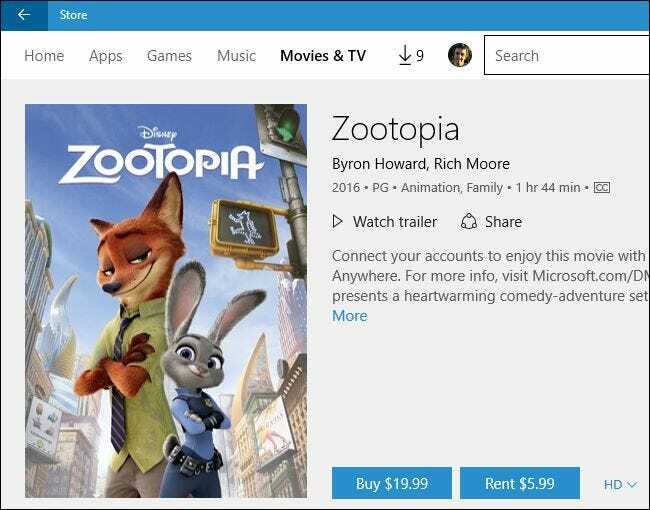 Microsoft Windows Store (Windows 10): Windows 10 includes the Windows Store, and the Windows Store includes an entire “Movies & TV” section offering video rentals and purchases. Videos you pay for can then be watched in the Movies & TV app included with Windows 10. This is the main alternative to iTunes for purchasing and watching videos offline on a Windows PC. Google Play Movies & TV (Android, iOS, Chrome OS): On Android devices, the Google Play Movies & TV app provides rentals of movie and TV shows. 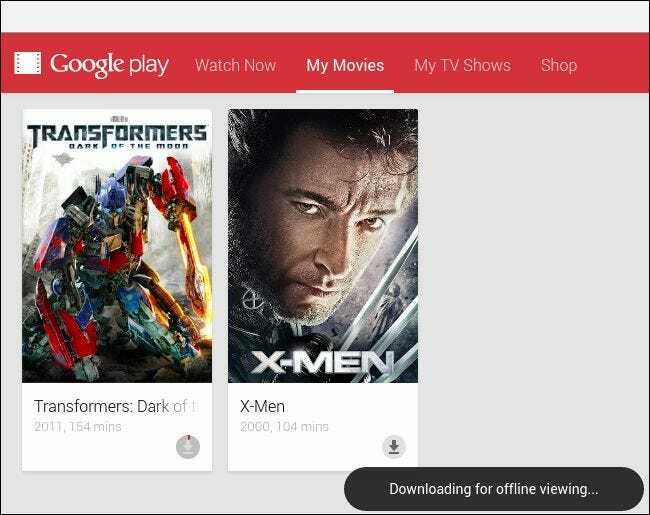 The Google Play Movies & TV app is also available oniPhone and iPad, and both platforms allow you to download videos offline and watch them in the app. Google offers a Google Play Movies & TV Chrome app that allows you to download and watch videos offline, but this feature only works on Chromebooks. It’s the only option for Chrome OS devices. Lastly, if you have movies or TV shows on physical DVD or Blu-ray discs, you can “rip” them to digital video files you can more easily take with you. Store these files on a laptop, smartphone, or tablet and you can watch them without taking the disc with you. You can rip DVDs and Blu-rays with a variety of programs, but we particularly like Handbrake–it’s free, and contains presets for ripping files compatible with iPhone, iPad, Android, and more. Netflix doesn’t yet offer this feature, but rumors suggest Netflix is working on it. If and when Netflix does offer this feature, it will likely work in a similar way to the Amazon Video and YouTube apps.